Director Ti West has done it again folks. Offering us a good old fashioned ghost story fresh off the heels of the quite enjoyable Cabin Fever 2 and The House of the Devil. No gimmicks, no lavish effects. Just great storytelling that captures the attention and imagination. The Innkeepers shows us the final days at the Yankee Peddler Inn. With just one remaining weekend as a functional business, employees Claire (played by Paxton) and Luke (Healy’s character) agree to work in hopes of catching the evidence to prove the Inn is haunted. But are they even prepared to unearth the truth, should the structure indeed house any form of paranormal activity? West does a strong job of utilizing unorthodox but highly effective camera techniques and subtle but genuinely operative post production effects. Technically, the film really can’t get all too much better than it already is. 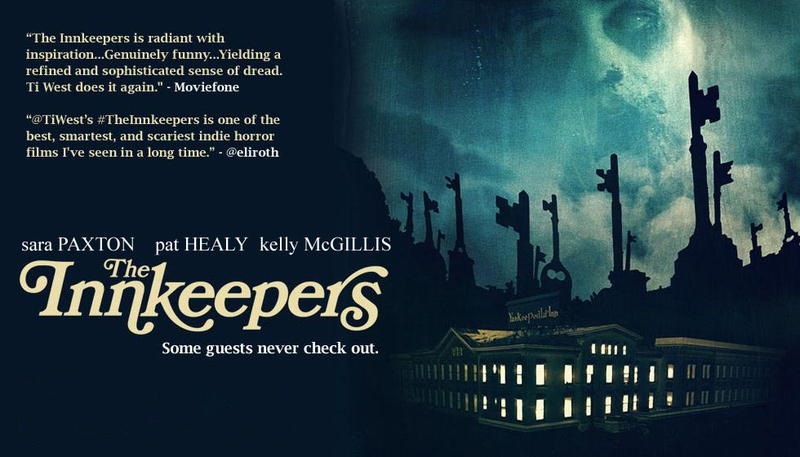 As previously stated The Innkeepers doesn’t knock you out of your pew. Just a good old fashioned, scary, ghostly tale here folks. It builds throughout and has the right amount of scares to make ya’ spill your cola….Check it out…West rules! !